The majority of ASIJ students commute to school by bus, a service we have operated since 1963. Our fleet of 28 buses transports 1200 riders to and from school, daily. The safety of our riders is our highest priority. Bus safety is a community team effort, strengthened by the partnerships between the bus drivers, bus monitors, bus riders, parents and ASIJ administration, faculty and staff. Each ride is overseen by several bus monitors, who are extensively trained to ensure the safest trip possible for all riders. Supervised by Janet Witt (Director of Transportation), our bus monitors’ duties include overseeing the physical and emotional safety of their riders. All bus monitors must be certified in CPR, first aid and AED use. Training is held the five days prior to the start of school in August. Our bus monitors’ training results in a two-year CPR, first aid and AED certification. These courses are provided by a qualified instructor. This year, that instructor was Warren Kirwan, a firefighter and teacher from Canada. Janet teaches emergency procedures, disaster preparedness, behavioral/disciplinary management, bus safety features and, together with the nurses, provides instruction on rider-specific medical concerns. In addition to certification, review courses are covered by Ruth Harimoto (Associate School Nurse) every August and January. The review courses in August are attended by currently certified bus monitors, while the January review is attended by all bus monitors. Ruth focuses on the skills learned during standard certification courses that are most relevant to ASIJ bus monitors. Review sessions include additional hands-on practice with mannequins, presenting first aid information and epipen practice. 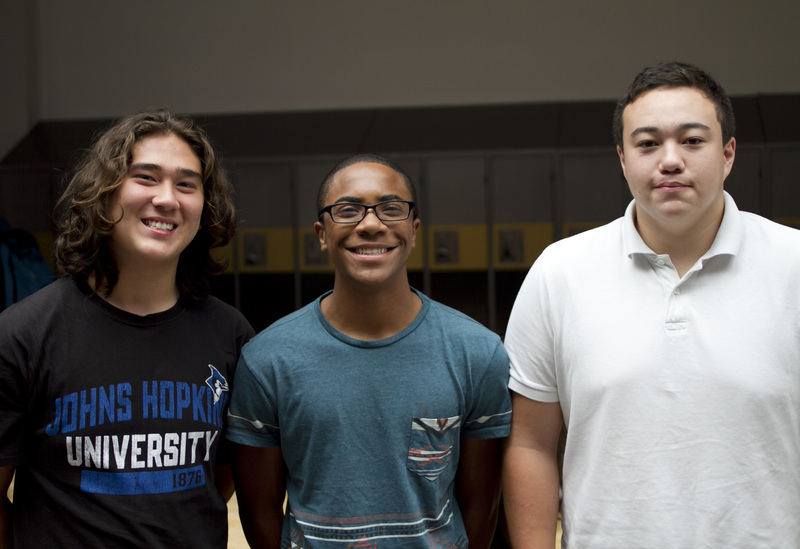 Recently, two bus monitors put their training to the test when their friend, and fellow bus monitor, Joseph Ettison (Grade 11), began choking on an unexpectedly hot piece of chicken katsu during lunch. Akio Kawasaki (Grade 11) immediately reacted by starting the Heimlich maneuver. After a few seemingly futile attempts, Anthony Jeler (Grade 11) stepped in while Akio ran for a nurse. The life-saving effort finally came to an end when the piece of food was dislodged from Joseph’s airway. Joseph is grateful for the training that allowed all three of them to respond to this life-threatening situation. Their quick response and practiced skills saved his life. The school nurse checked him out after the incident and he saw a doctor after school, giving him the all clear.